The widespread adoption of both smartphones and tablets, coupled with their constant connection to social media outlets, has shifted the customer/business balance of power squarely to the consumer. Because of this phenomenon, “mobile engagement” today, looks much different than it should. One of the hopes of this research effort, over time, is to empower businesses to better understand mobile engagement so that they might embrace it, optimize it, and build competitive advantage from its superlative execution. 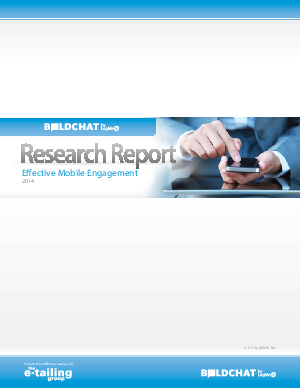 This report is the result of a survey from nearly 6,00 correspondants and provides the answer to some important questions on mobile engagement.